Recovering from an accident or a surgery could be depressing. Our emotional and mental anguish could even be worse when we acquire serious injuries which lead us to be paralyzed, immobilized or permanently impaired. Some of us might easily give up on life and fail to appreciate the good things around us. Others might also end up sulking over their demise and lose interest in recovering from their current condition. But we should know that this mentality makes it even more difficult to get us healed. Instead of losing faith that we will still be able to live a normal life, AMERICA WEST MEDICAL TRANSPORT recommends that we follow these tips to heal faster. Know every bit of information about your condition. Before we start a battle, we should know who and what we are starting a war with. And if we want to get fully healed from our present physical and health condition as fast as possible, we should know all the helpful details about our injuries. We can do this by asking our physician what happened to our body which led to this condition first. When we do not understand everything after our conversation with the doctor, we can search for our condition through Google or ask other people who have a condition similar to ours. Medications would be prescribed to us by our doctors even after acquiring these injuries and getting out of the hospital. No matter how many medicines we will be required to take, we must follow the prescriptions religiously and never miss a single dose. By taking our medications faithfully, we can get healed faster. Never miss a scheduled check-up with the specialist. The follow-up check-up with our doctor is also an essential part of the recovery. The healing stage does not end when we get discharged from the hospital. In fact, that is only the beginning of our long journey to get away from the serious injury we have acquired. Once we get the discharge order from our doctors, they will also give us a schedule when we should visit them again; oftentimes, this is after a week. With the help of a non-emergency medical transportation in Sacramento CA, we can get to the hospital with ease and not miss a check-up. Do not miss a booked therapy. 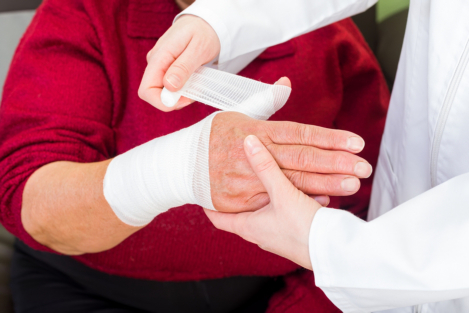 The kind of medical or physical therapy you would need depends on the type of injury you have. Clients of companies which provide wheelchair transportation in San Jose CA are motivated to help you heal faster. By attending therapy devotedly and consistently, the progress of our healing would be quicker. Never give up on yourself. Be enthused and driven to heal fast. This entry was posted in Non-Emergency Medical Transportation and tagged Recovery, Serious Injuries, Tips. Bookmark the permalink.